Pinterest! What’s your opinion of this popular social media platform? I have caught myself spending way too much time perusing the pins and boards in awe the laundry room as big as my living room and the Frozen birthday party ideas that must have taken 4 months to plan, but for the most part it has been a huge asset in my money-saving tool box. I refer to my Pinterest boards on a weekly basis when I’m creating my menu and here’s why I think you should too. 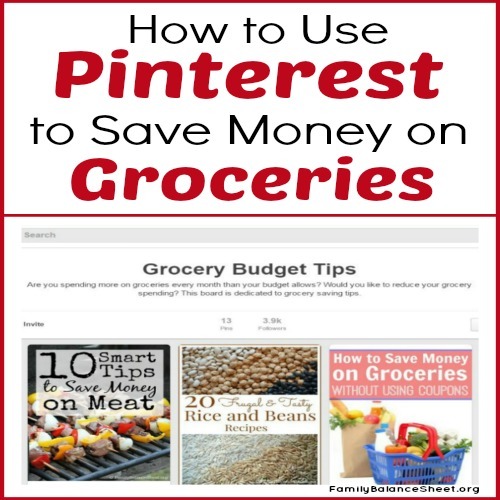 After the 31 Days to Slash your Grocery Spending series…;)…the next best place to find easy money saving grocery tips is Pinterest. Do a simple search on a topic or follow my Grocery Budget Tips board where I regularly pin tips that I find around the web. Honestly, Pinterest is the only search engine I use when I’m looking for recipes. As I plan my menu each week, I review the sales flyer and if I see a good sale on an ingredient, like pork chops or asparagus, I’ll search Pinterest for easy recipe ideas. Also, if you have an odd ingredient and you’re not sure what to do with it, simply search the ingredient in Pinterest’s search bar. You’ll instantly have many pinned ideas with pictures to help you find the perfect recipe. Now that our kids are older and we’re more mobile in the afternoons and evenings, my meal plan has become more consistent. I make an effort to try one new meal every week or two, but for the most part, I stick to tried and true recipes that are easy to make and please the entire family. To keep these recipes all in one location that is off the counter and easy to find, create a Family Favorites board and pin your family’s favorite recipes that are consistently in your menu rotation. In the past, when I found a recipe on Pinterest that I wanted to try I would re-pin it to one of my many food boards. But I was forgetting about these pins and if I did try the dish and I didn’t like it, I didn’t want it on my boards, so I created a new board titled, Dinner This Week. I now pin a recipe that I plan on eventually trying to this board. And I only pin the recipe if I absolutely plan on trying it, otherwise I have stopped randomly pinning recipes that I will NEVER get around to, because my boards were getting ridiculous. If we like the recipe, I re-pin it to one of my main food boards, but if we don’t like the recipe, I delete the pin. 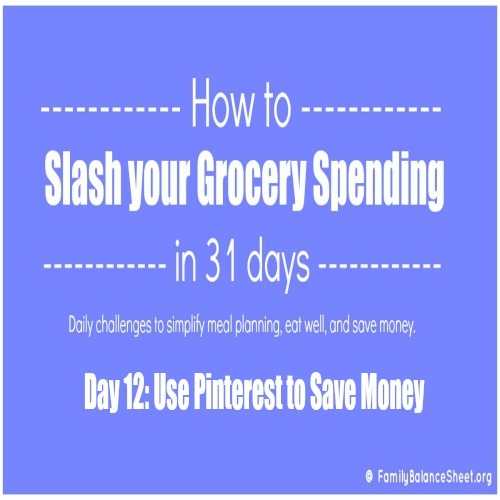 Meal planning is the #1 way I save money on groceries and Pinterest saves me a lot of time and dollars each week. Are you on Pinterest? Do you find yourself using Pinterest instead of Google for searching the web? Follow me on Pinterest where I share my favorite recipes (that we LOVE), money saving tips, debt freedom stories and so much more.